Steve lives in Derbyshire with his wife and their three dogs. He flies the Embraer 145 regional jet for a UK airline, is an instructor, Type Rating Examiner and instructor course tutor based at East Midlands Airport. 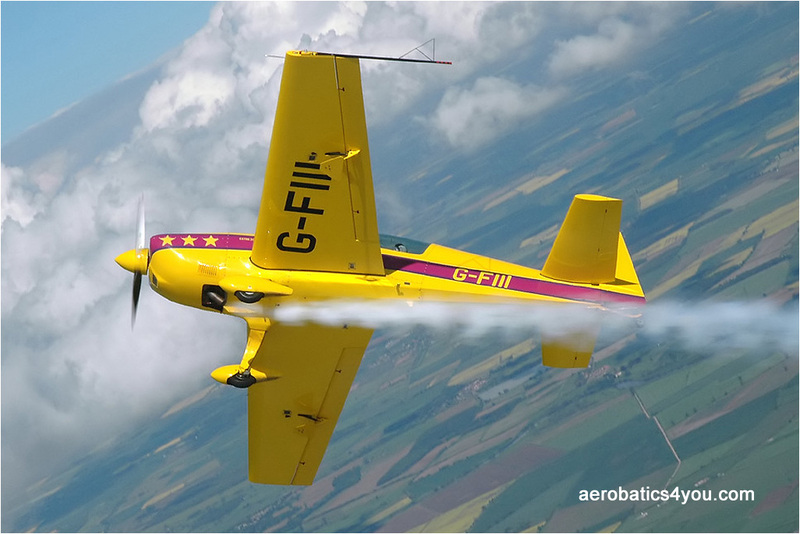 Steve is the holder of an Unlimited level aerobatic display authorisation from the CAA for solo and formation aerobatics down to 100 feet and flypast at 50 feet. He is also a member of the Global Stars Aerobatic team, and is an experienced flying display director. Having spent his early years in Wigan, Steve’s first visit to an air show was at Woodford in the early 70’s. “That was the first time I saw an English Electric Lightning close up. We’d got to the show early, and aircraft were arriving from all over the place. The day was clear but very humid and these two Lightnings appeared low and very fast from nowhere; hit reheat crowd centre and went vertical in an explosion of noise and what was in effect artificial cloud: disappearing up and almost out of sight”. That sort of thing can make quite an impression on a small boy and so Steve joined the Air Training Corps, flying as often as possible with the Air Experience Flight at RAF Woodvale in the Chipmunk. He subsequently went on to fly gliders at RAF Burtonwood close to Warrington. “We learned the basics in open cockpit T21 gliders; a side by side aircraft with the glide angle of a drain cover. The aim was not really to learn to soar but to fly circuits, each of which lasted around three minutes: a bit like aerial tobogganing. We then flew the T31 which had a different layout, the instructor sat behind the student from where he would shout advice and encouragement. This is the glider that we eventually flew solo. My log book showed that as with most cadets, I went solo with around one and a half hours in the air”. Having obtained a Post Graduate Certificate in Education from Huddersfield Polytechnic in 1984 Steve got married and started his first job as a lecturer in Pure and Applied Mathematics at North Manchester College. “We were living in Holmfirth and both commuting large distances; so after three years at Manchester I found a job at Huddersfield Technical College. We’d started gliding by then at Camphill in Derbyshire, a superb site for soaring in ridge, thermal and wave. Flying cross country in thermal is exhilarating but soaring in wave has to be one of my favourite kinds of flying: on a good day the cloudscapes are incredible, you can see the atmosphere setting up in huge standing waves that go up tens of thousands of feet, mind blowing!”. 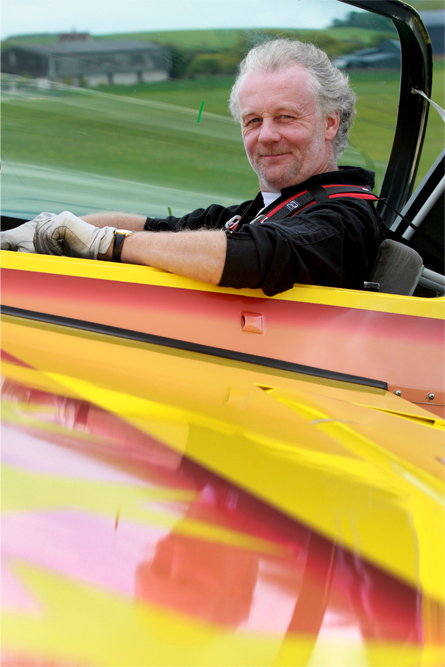 Steve has worked on the restoration of several aerobatic aircraft, in particular the process of fabric recovering. 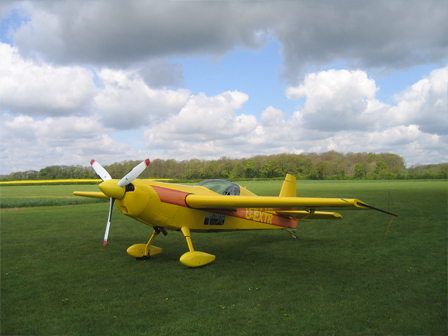 These include a variety of Pitts Specials, a Christen Eagle and Bucker Jungmann. He also has a keen interest in science and the public understanding and expectations of science and technology. “There’s a common misconception about the nature and pedigree of scientific knowledge which we often see in the debate about climate change. We got all the way to the moon and back armed with little more than the physics of Newton’s Principia; and yet we now know that Newton basically got it wrong. That’s not bad going! For me, the scientist and broadcaster Jacob Bronowski summed it all up when he said that science is a tribute to what we can know although we are fallible.” Steve also enjoys cooking, reading, music, film, television and growing trees.